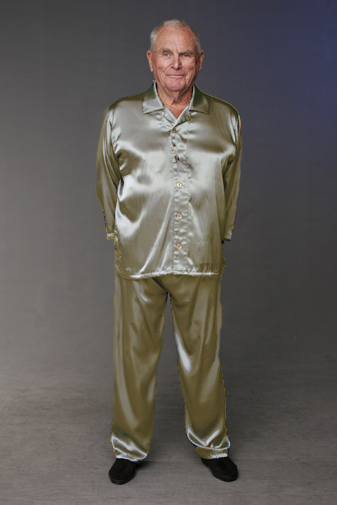 Polyester satin, fully washable pyjamas. Top is long sleeved with front buttons. Pants have elasticized waist. 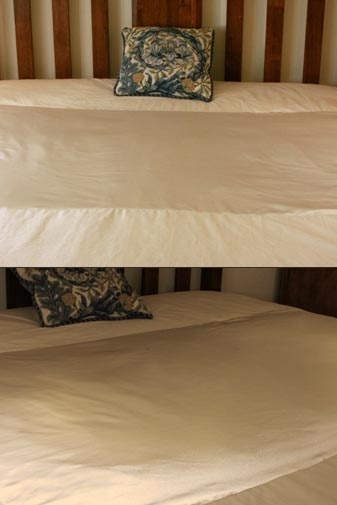 Facilitates movement in bed by reducing friction.